As a dedicated Panerai researcher, I only have one objective with publishing this story and that is to separate the fact from the fiction, but also to bust a false myth that has been perpetuated for the past years. 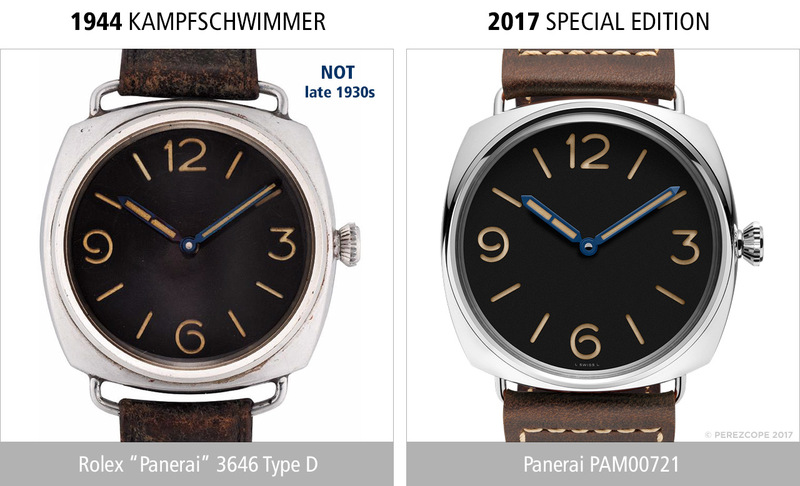 It’s an indisputable fact, the Panerai PAM 721 (PAM00721) is being presented as something it is not. There are three types of “anonymous” (Anonimo) Panerai dials found in vintage Panerai watches. The sandwich dials, the “California” dials and the “fuzzy” brass dials. The official story goes that the first two were early “prototype” dials from the late 1930s, but the truth is all of them, without exception, were produced much later during WW2. “Anonymous” Panerai dials appear for the first time in 1944, on watches that the Nazis essentially stole from Panerai during the occupation of Italy. The reason why the dials were anonymous is pretty simple. The makers didn’t want to be associated with the Nazi regime. With its simple, iconic dial and attractive blue hands, the new Radiomir 3 Days Acciaio is a special piece that enables enthusiasts of Panerai’s history to revive the origins of the brand. The New Radiomir 3 Days Acciaio PAM00721 is a tribute to Panerai’s first designs, with their stunning purity and clean lines. This watch is essentially a reissue of the Panerai Reference 3646 from the late 1930s. According to Hodinkee, it was Panerai CEO Angelo Bonati who stated the watch’s design dates from 1936 to 1938. Bonati made this statement in an interview, shortly before the publishing of the Hodinkee article. 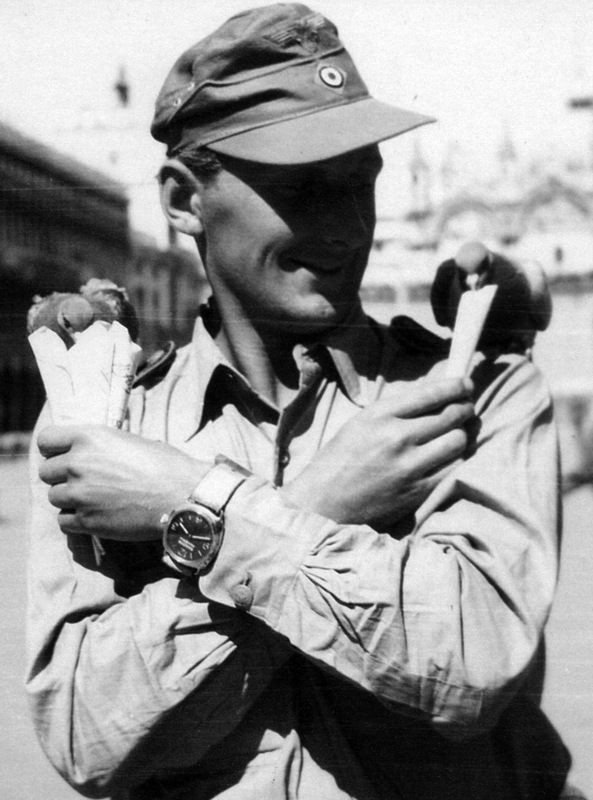 The first reference 3646 watches arrived to Florence in April 1940. All Panerai watches until 1955, without exception, were made by Rolex. Not only the movements were provided by Rolex, the whole watch came from Rolex. Panerai provided only the dials. 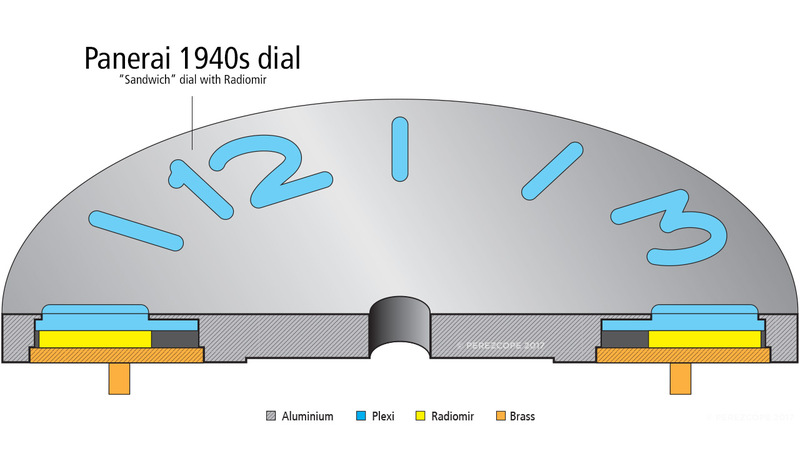 The claim, “anonymous” dials were Panerai’s first designs from the late 1930s is not correct. 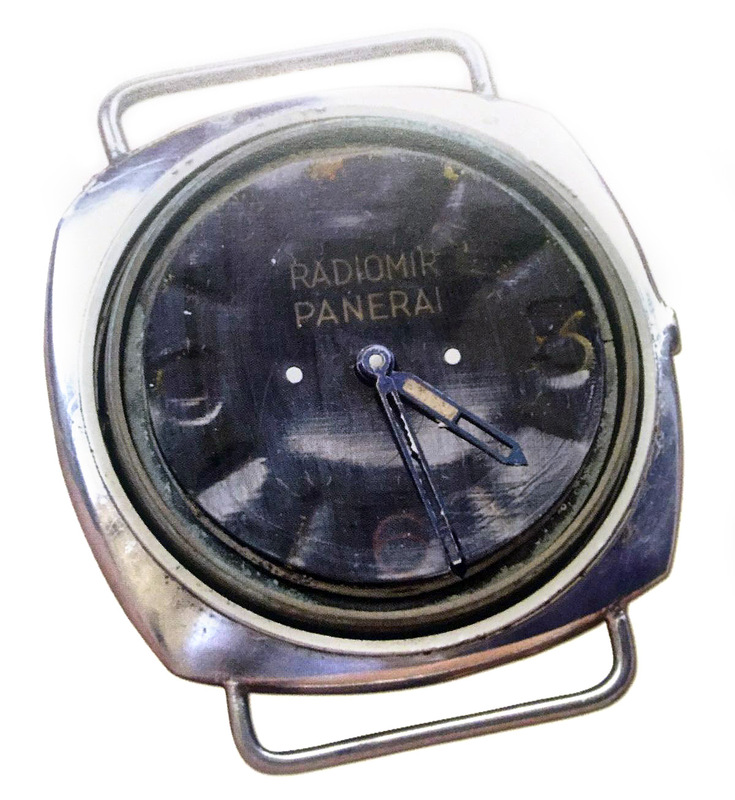 The first dials made by Panerai and rarely found on some of the earliest 3646 from 1940, are so-called “plastic rivet” dials. These dials were extremely fragile and prone to deformation (warping) when exposed to a heat source such as the sun, etc. The upper disc warped and touched the hands, thus preventing them from turning. These watches were specifically made for the Italian Decima MAS, a unit that pioneered underwater warfare. In 1941/42, Panerai developed the first aluminium sandwich dials. This construction made a deformation impossible and sealed the highly radioactive Radiomir behind a layer of clear resin. All dials made prior to 1944 proudly bear the typical Radiomir Panerai engravings. During WW2, Italy formed part of the Axis powers, together with Nazi Germany and Japan. After the successfull Allied invasion of Sicily and heavy bombardement of Rome, Italy surrendered in September 1943. Nazi Germany immediately attacked the Italian military and occupied large parts of the Italian territory. The Italian soldiers were given the choice to keep fighting for the Axis or be deported to Germany for slave labour. Thousands of Italian soldiers were killed for not surrendering their arms. Over 710.000 Italian soldiers ended up in concentration camps. Parts of the Decima MAS remained loyal to the Axis, in order to retain some sort of control over the chaotic situation and protect Italian interests. They agreed to train German Kampfschwimmer (combat swimmer) recruits in their facilities in Valdagno, Italy. The first Nazi Kampfschwimmer recruits arrived to Valdagno in January 1944. Since the officer in charge of the Kampfschwimmers, Lieutenant Commander Heinz Schomburg, was about to go to Florence, the Decima MAS asked him to collect a number of watches and instruments the Decima MAS had ordered and paid for months before. The following picture shows a German Kampfschwimmer wearing one of those watches, which were still branded (3646 Type C). The Allied advancings closing in from the east, west and south were relentless. The Nazis needed to buy time and deployed hundreds of unexperienced Kampfschwimmers with the objective to destroy bridges all around Europe. In consequence, the Nazis requested hundreds of watches and instruments (depth gauges, compasses) from Panerai. According to Maria Teresa Panerai, the widow of Giuseppe Panerai, none of the items requested by the Nazis have ever been paid for. Since Panerai was forced to deliver these items free of charge and most certainly under threats, he decided to leave them unbranded. Neither the watches nor the instruments that followed bore any Panerai inscriptions. Leaving them unbranded also reduced the work load considerably and on top of that, had another positive side effect. Panerai would not become an Allied target in case the German frogmen were captured. 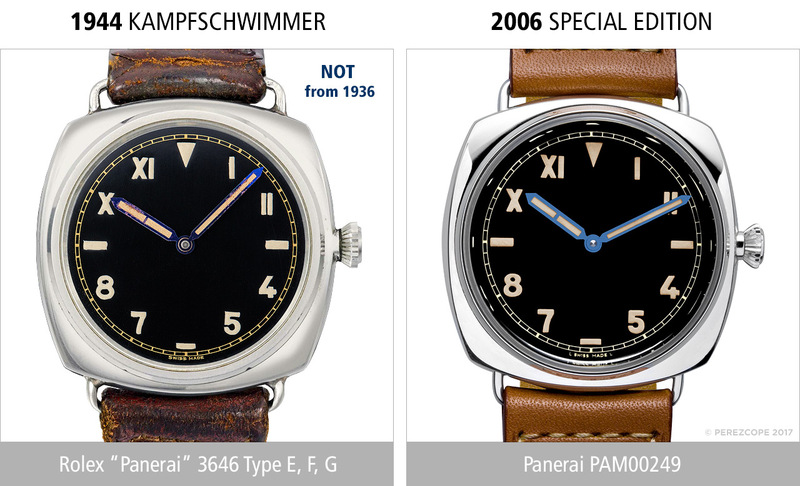 As you can see on the following comparison, the PAM 721 is cleary a tribute to the 3646 Type D Kampfschwimmer watches. 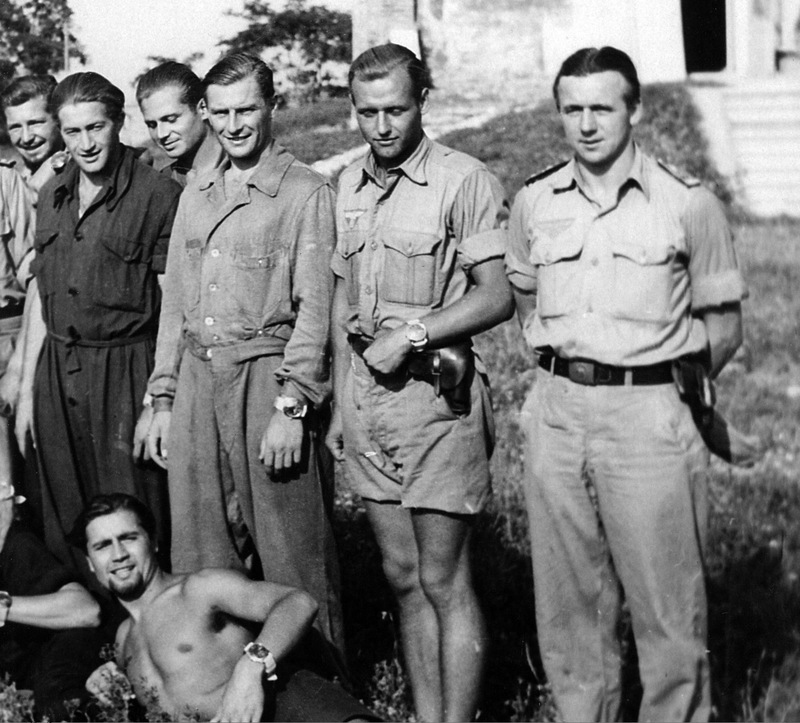 The following picture shows German Kampfschwimmer recruits wearing Panerai watches during their training in Italy. 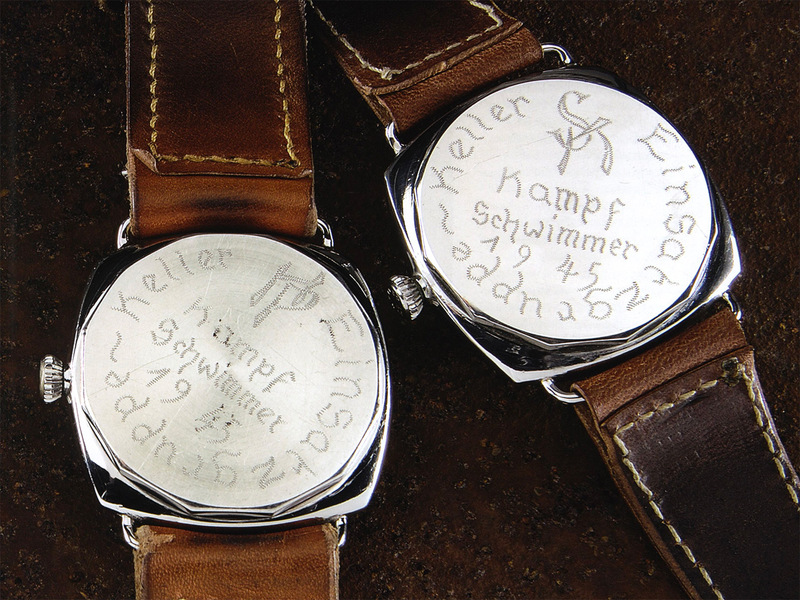 Many Nazi Kampfschwimmer watches bear distinctive engravings on their casebacks. There is another modern Panerai that is clearly a tribute to watches worn by Nazi forces in 1944/45. The PAM 249 (PAM00249) with “California” dial. This watch was a Special Edition from 2006 which was produced in 1936 pieces only. According to the modern Panerai company under the umbrella of Richemont, the number 1936 refers to the year of the first appearance of the “California” dial. However, fact is, the “California” dial for Panerai watches was introduced in 1944. For some reasons, Panerai was no longer able to produce aluminium sandwich dials. The most plausible explanation for this is that aluminium was no longer available. The Nazi forces seized every bit of aluminium they could find all around Europe. This material was desperately needed to build warplanes and rockets. In consequence, Panerai asked Rolex to provide luminous dials for the new watches. The “California” dial is a patented Rolex design. The patent was filed in May 1941. There are early 3646 from 1940 in existence, which feature “California” dials. There is a simple explanation for this. Before the liberation of Florence in August 1944, the Nazis paid Panerai a visit and seized everything that was useful. The stolen goods were sent to Arturo Junghans SA, a watch factory on the island of La Giudecca in Venice. Since the luminosity of “California” dials was not satisfactory, they were replaced with so-called “fuzzy” brass dials, most certainly made by Junghans in Venice. The “fuzzy” brass dial is the third type of “anonymous” dial. When the old Arturo Junghans factory was cleared in order to be transformed into lofts and a theater in the early 1990s, lots of loose “California” dials were found in the shelves. These very dials were used to replace damaged Panerai dials (probably “plastic rivet” dials) in the 1990s and 2000s. Evidence for this can be found in the simple fact that most of these early watches are equipped with a high bezel and a tall cannon pinion, both meant for thick “sandwich” dials. 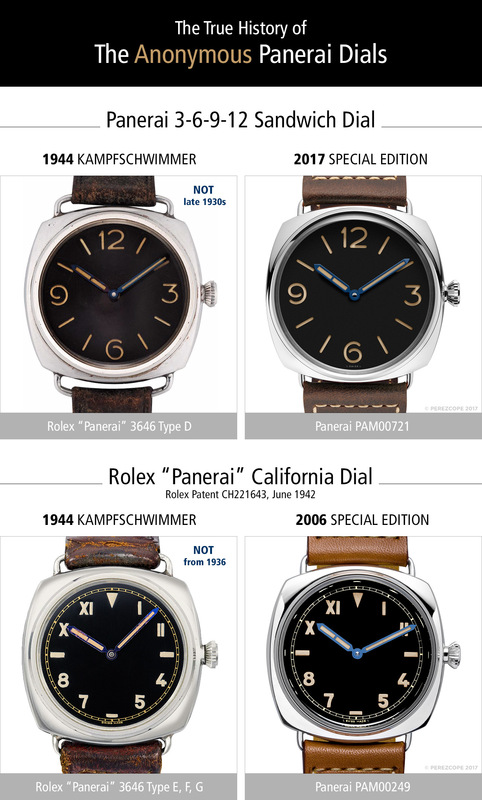 The following comparison shows that the PAM 249 is the exact replica of a 3646 Type E from 1944 with “California” dial. 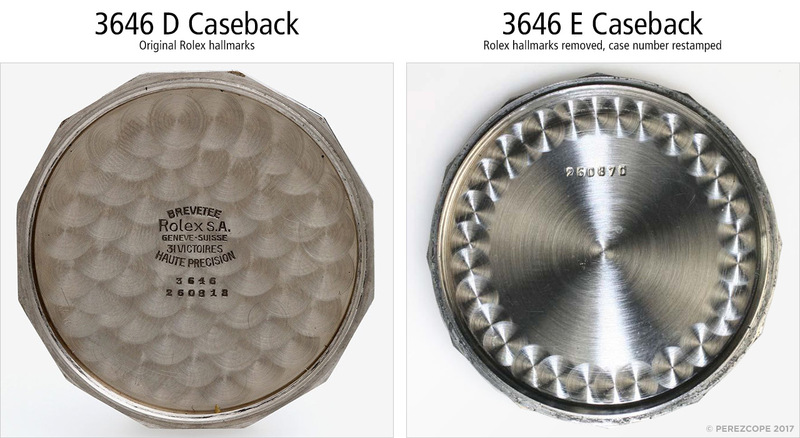 When Rolex became aware, the watches were meant for the Nazi forces, they removed all Rolex hallmarks and signatures. Rolex didn’t want to be associated with the Nazi regime but they kept sending watches to Florence in order to protect Giuseppe Panerai, his family and his employees from harm. The Nazis would have considered Giuseppe Panerai a saboteur to the interests of the Third Reich, if Rolex would have stopped the supply. Being accused of sabotage was basically a death sentence. Hans Wilsdorf, the founder of Rolex, basically saved Giuseppe Panerai’s life. 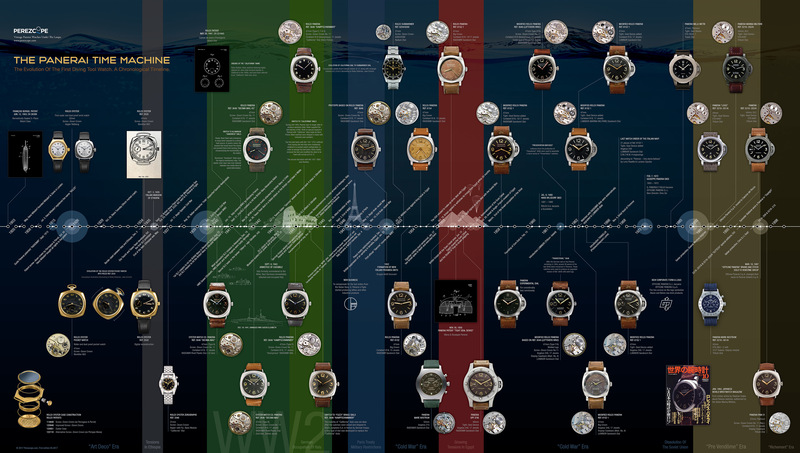 The following timeline shows the “anonymous” Panerai watches in their historical context. Please click the graphic to download the highres version. Printed with HD Inkjet on heavy synthetic paper, laminated. Excellent, informative, extremely well-researched article. How I wish I could write something like this. Again another demonstration of the ignorance from the marketing team with lack interest in the brand. The DNA as they call it. Panerai – homage- has so much to offer to us! The story is rich, we can see drama and passion. At least Mr.Bonati knew where to stop by adding few engravings on the back case with dates & names of each kampfschwimmer… and Nazi logo. 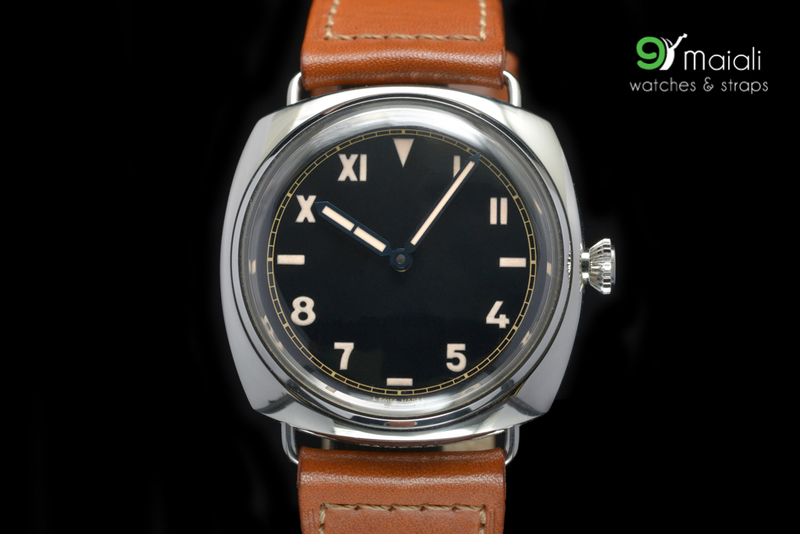 Great read…every time I come to this site, I learn more about vintage Panerai. Keep up the good work!! Awesome article as always! I really enjoy your detailed and intimate insights into the Panerai DNA. Super read with an intimate knowledge of the facts. It is great to have passion & purpose when researching vintage watches. Amazing article. Treasure trove of accurate knowledge. Very instrumental in my at last being able to acquire my PAM 721. I was intrigued by this model from the time it was introduced. After doing research, it became even more important for me to have it in my collection. With research and discovery of true facts, it gives one an intimate relationship with a watch. Thank You.